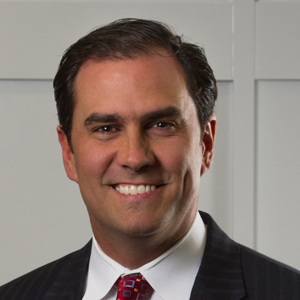 Kevin Thompson is an MLM attorney, proud husband, father of four and a founding member of Thompson Burton PLLC. Named as “Supplier of the Year” in 2014 by the Association of Multilevel Marketing, Kevin Thompson has extensive experience to help entrepreneurs launch their businesses on secure legal footing. Kevin Thompson is an MLM attorney, proud husband, father of four and a founding member of Thompson Burton PLLC. Named as “Supplier of the Year” in 2014 by the Association of Multilevel Marketing, Kevin Thompson has extensive experience to help entrepreneurs launch their businesses on secure legal footing. Thompson serves a broad spectrum in the industry, spanning from early stage startups to Wall Street hedge fund analysts. As seen recently on Bloomberg TV with Steve Forbes, Thompson is a thought-leader in the network marketing industry. In a prior life, Kevin was an accomplished track athlete at the University of Tennessee, garnering all-American honors in the decathlon. Kevin developed his passion for direct sales as an Amway distributor, selling energy drinks and doing anything possible to earn extra cash while in school. With his competitive nature, Thompson was drawn to the world of working with young network marketing companies trying to make a difference selling superior products and services through networks of people. As a DSA supplier member, Kevin Thompson is actively involved to help steer the industry into a promising future. He has served as a keynote speaker for clients all across the world. While Thompson appreciates working with great companies selling incredible products, he’s pragmatic enough to realize that the industry needs improvement. Thompson has been instrumental in leading several efforts to improve the network marketing industry from the inside out. These measures include the passing of state legislation regarding anti-pyramid rules, publicly denouncing inventory loading practices, conferring with multiple trade association board to steer policy and educating the community on best practices. Prior to starting his law practice, Kevin gained valuable experience while serving as Chief Counsel for Signature Management Team, LLC, also known as Team. Team is one of the largest providers of sales aids for distributors in the network marketing industry. While at Team, Kevin worked closely with Amway and MonaVie’s compliance departments to ensure Team’s marketing materials passed regulatory review. Also during his tenure at Team, Kevin helped guide the company through commercial litigation with Amway. He has the experience, knowledge, connections and tools necessary to help entrepreneurs securely launch their businesses. Kevin Thompson is one of the premier attorneys in the direct sales industry, proud husband, father of four and a founding member of Thompson Burton PLLC. Thompson specializes in helping clients navigate regulatory complexities related to FTC compliance, government investigations and litigation. 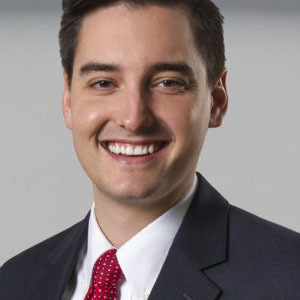 Thomas Ritter is an associate attorney at Thompson Burton PLLC. His practice area primarily focuses on cybersecurity law. He assists a variety of businesses, from well-established to new start-ups, on meeting regulatory compliance for all data protection and privacy-related matters.